Bring your eyes, ears, nose, and hands to the Oracle Soup table to taste the adventure of discovering a new deck. Katrina and Gina take you step-by-step through their recipe for successfully opening and learning all the unique details of your new deck. Special thanks goes to Ellen Lorenzi-Prince for gifting the kitchen sisters with her newest deck, unveiled in this episode. I love discovering a new deck. It’s like travelling into the ether via a whole new pathway. And interestingly no two decks are alike. Not even when they’re the same deck. I just received a new Crowley Thoth which had received a borderectomy. It does NOT read the same as my other Thoth I got from Dan Pelletier. I rip off the plastic (or packaging for a used deck), remove the extra cards, then I talk to the deck. First question is always what sort of relationship we will have. 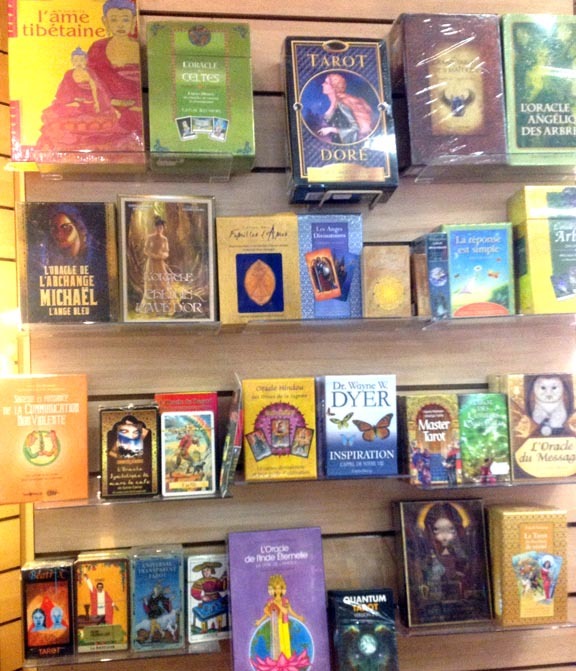 Then, I’ll do some tarot twreadings to see how well the cards read. The Deviant Moon became my working deck that way.